Your neighbors like to “visit” your property and you want to have that hard evidence. You want to check on your driveway and see who is coming and going. You want to stop break-ins and capture the criminals in the act. In this post, we’re gonna guide you how to pick the top rated outdoor security cameras for home, and what’s the ideal location for an exterior camera. An outdoor home security IP camera with waterproof or weatherproof rating is the first thing you need to consider when choosing one for the exterior of the house. But waterproof and weatherproof are not the same thing. In security cameras, waterproof means IP66 rating, which indicates that the camera has the standard that provides complete protection to the dust and powerful water jets. So it can stand the heavy rain, wind, sun, heat or chill outdoors. Weatherproof, on the other hand, is a lower rating (IP65) of waterproof, but it still protects against the general water jets, and guarantees that the camera can be used outdoors. Normally, when you see an outdoor home video surveillance camera is described as “weatherproof”, it’s IP65 rating. A best outside home CCTV security camera should be at least IP65. Take Reolink Argus 2 as the example. Not all wireless outdoor security camera systems for home are definitely no-wires. The term “wireless”, technically, means the data transmission is via WiFi. So you see some outdoor WiFi home security cameras still need to run power wires. 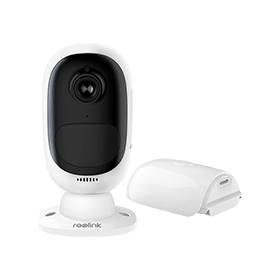 Reolink RLC-410W, for example, is a dual-band WiFi outdoor home surveillance camera that needs to run power. And what about a totally wireless outdoor home security camera that has no cables? That wire-free outdoor home camera is a battery-powered security camera, like Reolink Argus 2 I’ve mentioned above. This kind of battery outdoor home camera comes with a rechargeable battery, which can last for 4-6 months per charge. And the pro thing is that there is a solar panel for only $29 which can be mounted along with it and you don’t have to think about the charging thing or the battery replacement. 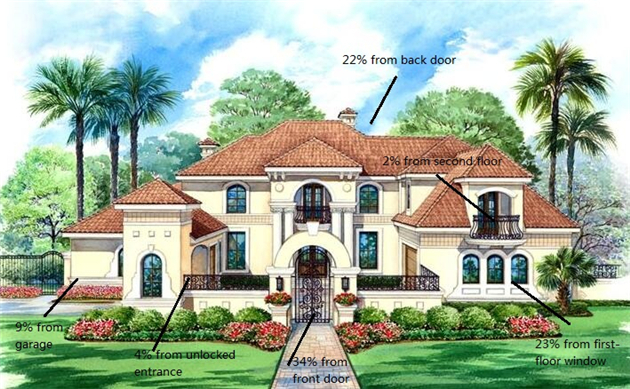 It’s always the best to choose a high resolution outdoor surveillance video camera system for your home. The weather, the lighting, and many other factors may affect the clarity of the videos captured by an outdoor camera. But always remember, the higher resolution, the clearer video! And 1080p (1920*1080), also known as Full HD, is the bottom line. Other choices are 4MP (4-megapixel), and 5MP (5-megapixel). You may also see: 4K vs 4MP vs 1080p vs 720p in security cameras. Here are the 1080p Argus 2 captures shared by its customers. Outdoor home security camera with night vision is a must-choice when selecting one for your home. Many cameras have night vision, of course. The thing is, the night vision should be high-quality, which can identify car license plates and people even in 30 or 100 feet when it’s pitch black outside. I’ve covered all the details in the post Night Vision Security Camera Buying Guide. And you may click to see more. Factors that affect night vision quality include resolution, IR range, 3D DNR, wide dynamic range, IR cut filter, filed of view, etc. But you don’t need to check all the factors before buying one. Night vision range also means IR distance. Make sure the outdoor home security camera has long range night vision, say at least 30 feet. For example, the best seller Reolink Argus 2 has 33 feet color night vision, as well as 33 feet black and white night vision. RLC-410 gets 100 feet night vision and RLC-423 reaches 190 feet. A video sample captured by the outdoor security camera for home would be the best proof. See if there’s any video footage available. Here are the video footage samples of outdoor home security camera systems. Outdoor home security cameras with audio are quite necessary, especially when you’re not home. These outdoor cameras not only record what happens with video and audio, but also allow you to talk to person at the end of the camera. For example, you can answer the door when you’re not home, and warn the uninvited to leave your property immediately. But note that some outdoor home video cameras feature 2-way audio, which allows you to listen in and talk back, while others have only one-way audio, that is, they can only record the voice. If you haven’t thought about network connection when selecting an outdoor IP surveillance cameras for home, please put it in the top list after this guide. I’ve seen many home owners have WiFi connection issues when placing security cameras outdoors. The main reason is, the outdoor surveillance video camera gets a WiFi connection bug, or the places where you want to install the outdoor home cameras have bad WiFi reach. The former is complicated but can be solved easily – just reset the cam and you get all back (make sure you’ve bought a reliable wireless outdoor home camera). #1. Give up the WiFi connection and look for a 4G mobile outdoor home camera. #2. Try the top 2 solutions for the wireless outdoor home security camera situation with no WiFi. If you live in a bad neighborhood, chances are that your outdoor property, include the outdoor home security camera, may be tampered or stolen or vandalized. Therefore, a vandal-proof outdoor security camera for your home is a good option. RLC-422, for example, reaches vandal proof IK10 standard. Others like RLC-410, and Argus 2 I’ve mentioned above would be another option, since they can hardly be vandalized by others. 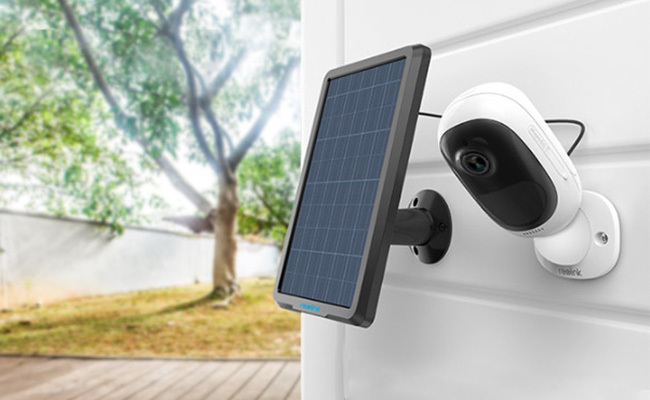 A best outdoor security camera for home should have the options to record and store video footage, say, save the video footage on to an onboard SD card, to an NVR or DVR, to a computer, or to cloud. So that you get that evidence and can play back to see what happened in details. Therefore, make sure the best wireless outdoor security camera systems for home you select have at least one storage option. Placements for an outdoor wireless home security camera are crucial, because that determines if all the events are captured. *Home crime statistics related to outdoor home security cameras from UK, US, Canada, Australia, India, South Africa, etc. See more. You may try the DIY (do it yourself) outdoor home security camera systems, which always require simple installation. Let me know in the comment below if you’ve any questions or thoughts about outdoor home security cameras. This entry was posted in Buyer's Guide and tagged home security, outdoor cameras, placement, smart home. Yolanda is an editor of Reolink, and also an independent writer showing great interest in technology and art. She has studied home and business security issues for years, and always shares useful tips and tricks with her fans.